Day 1 was busy at the Takhini Hotsprings. The crew did a wonderfull job helping everyone at the checkpoint and it was a great location for us to be in. Very friendly help from the staff of the Hot Springs and great support also from the Café balsam. Thank you for that! After having mentioned some highlights I want to just give you a general overview before I hopefully get a chance to update the results table. The trail was fast but there was one stretch that was a bit softer. Not easy of course if you know you need to go over it twice … Markings were very good but coming back three marathoners were not paying attention at crucial turn off and went the wrong way. They realised they were wrong as there were no more markers but it did take them a while to get back on track. All those who did not scratch were in good spirits. Most SPOTs are working with currently 2 exceptions – Peter Mild and Johnny Wulff Andersen. We will try to get the message through to Dog Grave Lake in the morning and hopefully we can get their tracker to work. Both were doing really good. So, no reason to worry. More news and hopefully some photos later today. Paul Trebilock arrived at 3:36 AM on January 31st at the 100 mile finish. So, he is our overall winner for this distance. Due to hard trails and an incredible effort Turbo was faster than we thought. Now I know why he has got that nick name … I am sure this is a record time for 100 mile bikers which will last for quite some time. And I also think it’s probably one of the best if not the best time for a biker ever to do the 100 miles. But I do need to double check before I confirm. Anyway, Paul is fine and of course very happy to be here. Since our official checkpoint had not opened yet I brought him over to Scuttlebutt lodge to sleep with the crew. Not all 100 milers carry a SPOT and I will need to look at some in/out times before I can be sure. But next in the field should be local athlete Karl McEwan. He left Dog Grave Lake and can get here in the morning. For an athlete on foot I expect a very good time from him, too. When we were still at the Hot Springs David Bohn (100 miles) came back. His water bladder was leaking badly and he got soken wet. He had clothes to change into. So, that was not the problem. However, he did not feel safe with only a small thermos as back-up. And of course it’s no fun to stop to melt snow every hour. Needless to say that he is dissapointed. Otherwise, he is in great shape and we all hope to see him back. For Danile Modolo (300 miles) the SPOT is showing a location in Vancouver. That is not where he is but unfortunately he had to scratch and never left the checkpoint after coming back. That is why the SPOT gives this position. Daniele felt sick. Possibly a cold coming on. Of course with so much ground still to cover it is understandable that he decided to call it a day. Thanks to an incredible effort by Matthew from Trackleaders.com and the services of Air North Cargo all rental SPOT units will arrive in Whitehorse in about 1 hour. This means that we should be able to give out most of the SPOTs at the Hot Springs. The rest we will try to get to athletes on the trail asap. That way everybody can follow their progress. There are some SPOTs active now. These are the one that belong to the respective people. In case you are wondering whey the don’t follow the red line which is the trail we normally use, that is because of the change we had to make on short notice in this section. Today’s logistics before the start worked perfectly. Thanks to perfect service at the Coast High Country Inn, great help from Takhini Transports and the best crew in the world we got to Takhini Hot Springs in time. Arriving here was a bit of a surprise when it comes to temperatures. Whitehorse felt warm but at Takhini Hot Springs it was rather chilly. We made our traditional start photo and the athletes left at 10:30 AM. Reports still are that the trail is rock hard. So, they should be fast. Especially the mountain bikers. Our Up North Wall tent is set up, ready and heated and we are now finalising checkpoint work. We will be here until certainly late this afternoon. If any locals want to join us welcoming the marathon finishers or seeing 100 and 300 milers, please feel free to do so. The Hot Springs are open and Café Balzam will be open from about 2 PM. As already announced yesterday, we will have our race start at Takhini Hot Springs. Athletes were informed today at the pre-race dinner that there is only one change to yesterday’s plans. And that is concerning the distance for the 100 and 300 milers on the “out and back”. Instead of 12 km, they actually do need to run about 20 km out, back and then out again to make up for distance lost through due to our new start location. Other than that the timing as such remains as planned. Loading of the sleds at 09:00 AM in front of the Coast High Country Inn. Transfer buses for the people are ready from 09:15 AM and scheduled to leave at 09:30 AM. Arrival at Hot Springs about 10:00 AM. There may be minor delays and it’s hard to tell with all the loading and unloading if we will make our 10:30 AM start. It may a bit later but at 11:00 AM at the latest we want to get going. The Hot Springs will be open from 10:00 AM until 10:00 PM! So, anybody who watches us start can enjoy this unique experience right afterwards. We had a great dinner tonight at the Coast High Country Inn. Most important information had been past on during training course and trail briefing. So, there were not too many things that still needed taken care of. Food was excellent and everybody seemed in a great mood and anxious to finally get going tomorrow. Now Nic, one of our volunteers, is waiting in the library until 11:00 PM for athletes to bring their drop bags. I am writing some more news updates and finalise some paper work. Then that’s it. It’s race time! Due to the hard trails we do expect a fast race. It will be beautifully sunny and not too cold. Trackleaders.com is having difficulty getting the SPOTs to us in time. I had mentioned it already previously. Timing was too tight anyway but deteriorating weather conditions meant that courier companies could not guarantee over night delivery to Whitehorse. Matthew from Trackleaders.com then bought a ticket with the intention of bringing the SPOTs himself (from North Carolina!). But of course regular flights were also facing bad weather. After a long nightmare he did end up in Seattle and will now fly on to Vancouver. However, he won’t make tonights flight. There were too many delays. The earlist – if all goes well – I will have the SPOTs will be tomorrow at 3:00 PM. We will see. All this does mean that the rental SPOTs can’t be given out in time for the start. Due to “out and back” this is not a big problem as it would have looked “funny” anyway. All the going back and forth off our original route. However, we do of course want everybody to head north with the SPOTs on their sleds. Let’s keep our fingers crossed. The athletes using their own SPOT should be visible already tomorrow as soon as the link goes live. 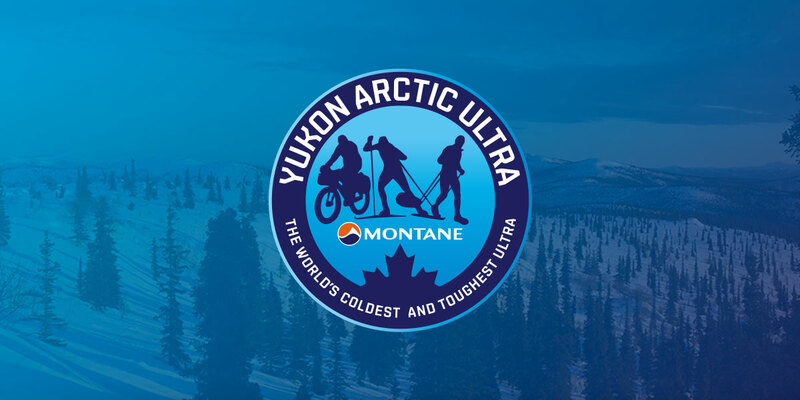 Due to more open water on the Yukon River, overflow and ice without snow (which makes marking pretty impossilbe) and generally bad trail conditions we have decided NOT to start at Shipyard’s Park. We are currently evaluating our options. Since the start location will be out of town we will organise transportation for the gear and the athletes. The timing is yet to be confirmed but at this point we plan to load all sleds into trailers in front of the Coast High Country Inn at 09:30 in the morning on January 30th. Athletes please be advised not to pack anything that may break if another sled is but on top of yours, e.g. maybe stoves. But these items in a separate bag and take these with you on the bus. When you get to the start location you can finalise the packing. Also, all athletes please be advised that it will be very important to be on time. If you are late for a start in Whitehorse, it’s not too big a deal. But if you are late this Thursday, it will be difficult and/or stressfull to catch up. The new start location will be confirmed hopefully later today. Then I will also confirm the timing.